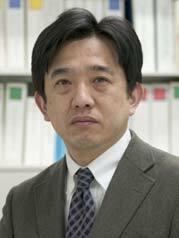 Dr Fujita’s research interests include design engineering, product development, computational design and systems engineering. He is currently working on knowledge-management based design support systems, product variety design under optimal design paradigm, design process planning, computational design of hierarchically complex systems, etc. Fujita, K., ``Product Variety Optimization under Modular Architecture,'' Computer-Aided Design, Vol. 34, No. 12, (Oct. 2002), pp. 953-965. Fujita, K. and Kikuchi, S., ``Distributed Design Support System for Concurrent Process of Preliminary Aircraft Design,'' Concurrent Engineering -- Research and Applications, Vol. 11, No. 2, (June 2003), pp. 93-106. Fujita, K. and Yoshida, H., ``Product Variety Optimization Simultaneously Designing Module Combination and Module Attributes,'' Concurrent Engineering -- Research and Applications, Vol. 12, No. 2, (June 2004), pp. 105-118. Fujita, K. and Ohtani, S., ``Hierarchical Contexts for Emergent Layout Design Synthesis: Preliminary Development of Agent-Based Plant Layout Design System,'' CIRP Journal on Manufacturing Systems, Vol. 34, No. 2, (2005), pp. 161-170. Powered by PHP 5.3.27. HTML convert time: 0.016 sec.